Today, we’re going to discuss the Amway Emerald rank, to include qualifications, average earnings and much more. Amway is probably the most well known multilevel marketing company in the world. It’s also the largest and one of the oldest. The company also has been the test case in determining if a MLM company is operating an illegal pyramid scheme. This was seen in the 1979 FTC case against Amway in which Amway won. See this article about that case by MLM attorney Jeff Babener. And, Amway has a fair share of haters and many lovers. Just Google Amway and you will see. For only one reason… I am not a fan of the Stair Step Breakaway Compensation Plan that Amway uses. But many people do make good money with Amway and don’t let my opinion hinder you. If you feel led to start an Amway business, by all means, go for it. As a matter of fact, their web link is in the reference section at the end of this post. Today, I am going to tell you about one of the Amway levels… Amway Emerald. I am going to explain what an Amway Independent Business Owner (IBO) needs to do to reach the level of Emerald and what kind of money you can expect to make when you get there. Amway has various levels IBOs can attain and each level has its share of benefits. Amway Emerald is one of those levels. I am going to list the Amway levels starting from low to high. Keep in mind that most levels are reached by hitting certain point values (PV). Each Amway product sold is worth a set amount of PV. IBO – The Independent Business Owner level is the start. So essentially, Emerald is in the middle of the Amway levels. And believe me, hitting Emerald means you are making some good money. What Does It Take To Hit Amway Emerald? First and foremost, dedication and persistence! 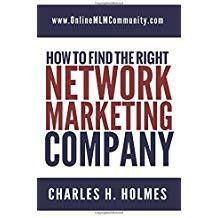 Both Chuck and I have written many articles here at Online MLM Community on recruiting and building a massive MLM home based business. These articles and tips work with any multilevel marketing business, so take your time and go through the website and learn. An Amway Emerald must be a qualified Platinum who has sponsored three legs, each of which has hit the 25% Performance Bonus Level for at least 6 months of that year. To become Platinum you have to be a Silver Producer for six months, three of which must be consecutive. And, to be a Silver Producer, you must have a 25% qualifying month. That is what it takes to become an Amway Emerald. To be an Amway Founders Emerald, you simply need to qualify for Emerald for 12 consecutive months in the fiscal year. Achieving the rank of Amway Emerald boils down to duplication. You can’t do it all by yourself. You need to develop leaders in your team, ideally three good leaders. Keep in mind this takes time and won’t happen overnight. You might have to personally sponsor 50 to 100 people to find three quality people (individual results will vary) and spend the rest of your time taprooting each leg and building depth in your team. Building depth (helping your team members sponsor others) is the real key to success in hitting this rank. What Can You Expect To Make As An Amway Emerald? After doing a lot of searching online, I did find a 2012 statement that said the average Founders Emerald earned $135,664 in 2012 with the highest earning Founders Emerald earning $838,533 that year. Keep in mind this does NOT include any additional income from the business support materials, which could be significantly more. I’m sure there are Emeralds who earn less than $100,00 per year and other Emeralds who earn several hundred thousand dollars. The major variables are the size of their team, the volume their team does, the tools income, and the growth of their team from the previous year. Amway does offer some one-time bonuses and yearly bonuses that could have a big impact on each Emerald’s bottom line. So do you “Get It?” I hope so! Amway Emerald is not difficult to make if you have a good attitude, make a plan and follow it. I know the Amway products essentially sell themselves. Amway has high quality products. I know because I regularly use both the laundry and dish soaps and their energy drink is one of the best I have ever tried. If you are or have been an Amway Emerald, feel free to “spout it out” in the comment section below. If you have any questions or feedback, you can post those there too. Thank you for visiting and have a great day! Disclaimer: We are not affiliated with Amway. This information is for educational purposes and we are not compensated in anyway from Amway or any of its representatives.